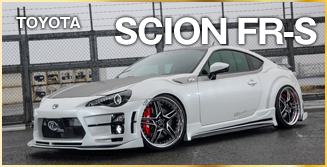 Scion Fr-s Prius Vellfire | Custom bodykit | KUHLRACING USA / UNIVERSAL PROJECT, Inc.
We have started to sell the wide body kit for Toyota 86! This wide version is the one with 40mm on the front and with 50mm on the rear! You can install this wide version kit on the KURL RACING Aero Ver.1 (01R-GT)! 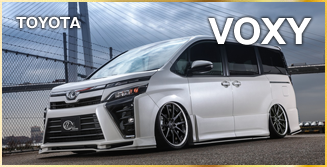 We have just started to sell the bumper type aero part: 30V-GT, the aero kit for 30 Vellfire! We have also started to sell the slash 4 tail muffler, the swan neck GT wing and the rear corner panel at the same time! You can install the parts: the rear bumper, the muffler, and the wing on 30 Alphard as well! Announcement to open the KUHL X ROWEN collaboration event! For two days from May 21st to 22nd, we are opening the KUHL X ROWEN collaboration event, the announcement and big sales negotiation event of the new Prius demo cars, at our KUHL Nagoya office. We are very much looking forward to your visit. 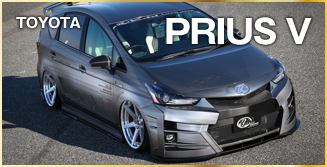 KUHL HYBRID new 50 Prius aero parts! Start delivering these parts as we receive your order! We have also started delivering the racing engine hood! the swan neck GT wing! and the slash 4 tails muffler as well! At the 2016 Osaka Auto Messe Custom Car Contest, we awarded the Grand Prix for the KUHL JAPAN Project R35 GT-R Gold Metal Paint for two consecutive years! This is the first time ever in this event! 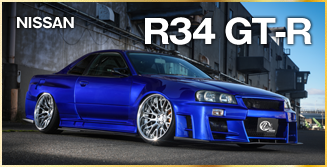 We are displaying our R35 GT-R Gold Metal at the “CUSTOM CAR EMIRATES” at Abu Dhabi in the UAE! from on March 31st. to on April 2nd. We are starting to sell 60 Harrier with our new aero parts, the new complete car of ours. 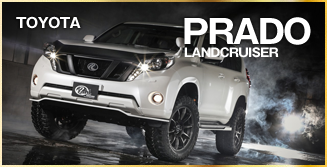 We are handling this model at the KUHL PREMIUM in Nagoya! We have completed 60 Harrier Aero Kit 60H-SS, the third version of the Kuhl Premium aero parts. We are selling these parts in April! 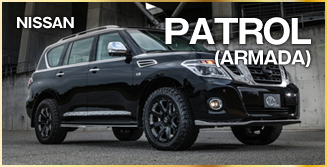 We are displaying our five demo cars at the Osaka Auto Messe from February 12nd to 14th, the event going to be held at the Intex Osaka! Our cars are waiting for you across from the Toyota booth in the 5th. building! 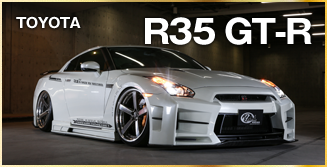 We are displaying the KUHL JAPAN project R35 GT-R Gold Metal Paint and R35 GT-R Wide Body Pearl White which you can’t miss! 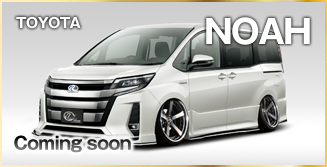 We are displaying new ND roadster, 30 Alphard and 30 Vellfire! 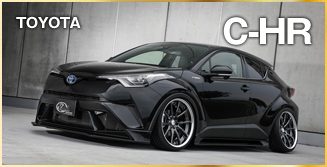 We are opening our big event about KUHL aero parts, KUHL new complete cars, the products of the ARTIS custom paint. If you are interested, please visit our event on the day!! 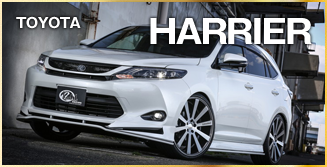 Thank you very much for your visit to the 2016 Tokyo Auto Salon. These are developing and selling our 2016 KUHL brand aero parts.! 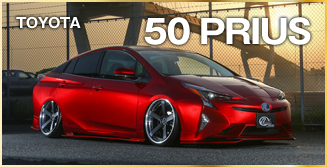 We have just started the 50 Prius Half Aero Kit & the engine hood! 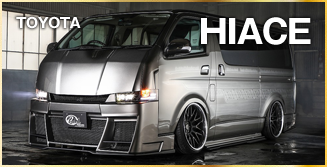 30 Alphard Racing Engine Hood is now on sale! 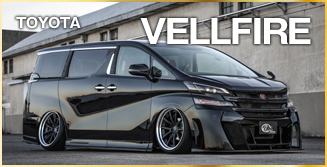 We have just started developing the Vellfire Full Bumper Aero 30V-GT! We have just started the 60 Aero Parts 60R-SS! 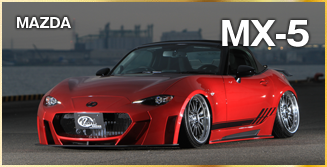 We have started developing the 86 wide body kit & Ver.3 full bumper aero kit! KUHLRACING USA / UNIVERSALPROJECT, Inc. Copyright © 2016 Kuhl RACING all rights reserved.